Rong Chen is the Senior Vice President of the combined Perfect World Company (formerly PWRD and PWPIC) and CEO of Perfect World Pictures (USA). PWPIC is a leading entertainment company in China, engaging in the production, distribution, and marketing of high quality film and television content, advertising and merchandising businesses, as well as talent management. Aside from Chinese-language films, PWPIC is also one of the most active marketers of foreign films in China, bringing films such as Ghost Rider 2, The Last Stand, Ender’s Game, Rush,and the Divergent franchise into the Chinese market. 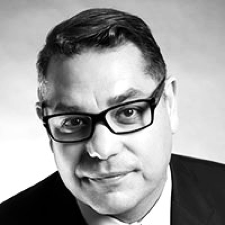 Mike Gabrawy is the Chief Creative Officer at Arclight Films. Before coming to Arclight Films, Gabrawy was responsible for acquiring and developing the Sony PlayStation game Resident Evil for film production via his production and development position at Constantin Films. The film went on to become Sony ScreenGems’ highest grossing film in 2002, and the franchise is now the second highest grossing franchise for Sony behind Spiderman. Since joining Arclight, he has produced numerous films including Bait 3D which premiered at the 2012 Venice Film Festival and went on to become the highest grossing independent film in China when it was released. Most recently Gabrawy is the producer of the highly anticipated Hotel Mumbai starring Armie Hammer and Dev Patel, as well as the true-life survival thriller Jungle starring Daniel Radcliffe. Gabrawy has maintained his position as an independent producer, executive producer, and consultant on a myriad of other projects along the way. Randy Greenberg is the Executive Producer of The Meg (2018)which was released worldwide by Warner Bros and Gravity Pictures in August 2018 and has done over $500 Million in Box Office revenue. Greenberg has overseen the green-lighting, marketing, and distribution of 200+ films and his strategies have produced over $5 billion in theatrical revenues over the course of his career. He has helped negotiate and close international acquisitions for films such as Hellboy, Gosford Park, and House of Flying Daggers. 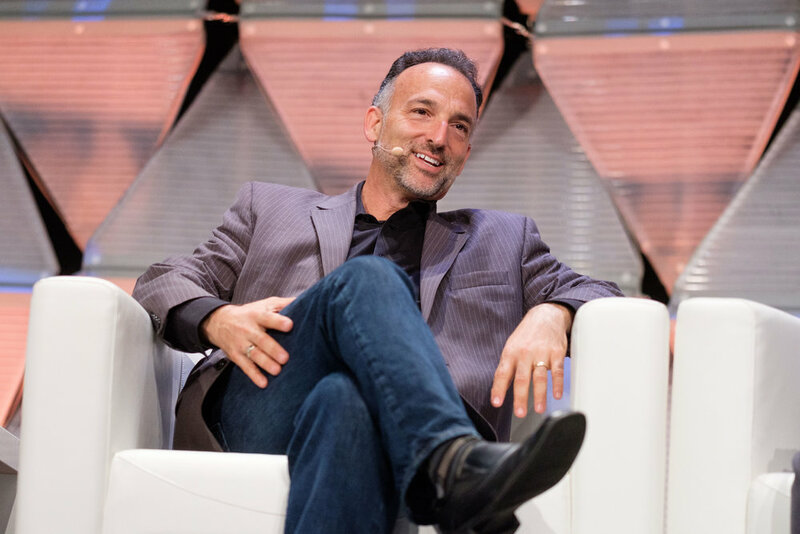 For the last decade, he has led the Greenberg Group, a global entertainment content strategy and marketing/distribution consultancy. Bennett Pozil has been a banker for 25 years and currently serves as an Executive Vice President at East West Bank, where he leads the Corporate Banking Group. As part of his role, Pozil oversees the development of the Entertainment Lending sector in the U.S. and China. Recent film projects financed by East West Bank include John Woo’s The Crossing and Chen Kaige’s The Monk. Prior to joining East West Bank, Pozil served for 11 years as the Managing Director of the Los Angeles office for Natixis, the French Banking Concern. At Natixis, Pozil structured the financing of over a hundred motion pictures including Crouching Tiger, Hidden Dragon; Hero; Fearless; and Lost in Translation. Xian Li currently serves as Senior Vice President, Production for SK Global Entertainment. In this capacity, she works together with domestic and international teams and is charged with enhancing and expanding the company’s slate of Asia-focused, globally minded film and TV projects. This is following the great success of SK Global’s co-financed and co-produced feature film ‘Crazy Rich Asians’. Prior to joining SK Global, Li had led Asia productions at Twentieth Century Fox International, where she oversaw creative development and production across Asia. She specializes in international co-productions as well as sourcing international materials for global English-language features.For her work in development and production, Li has been shepherding feature film projects with top filmmakers in Hollywood as well as from Asia. Additionally, Li also worked for Twentieth Century Fox International Theatrical, where she helped manage international marketing and distribution for over thirty film titles from 2012 to 2015. 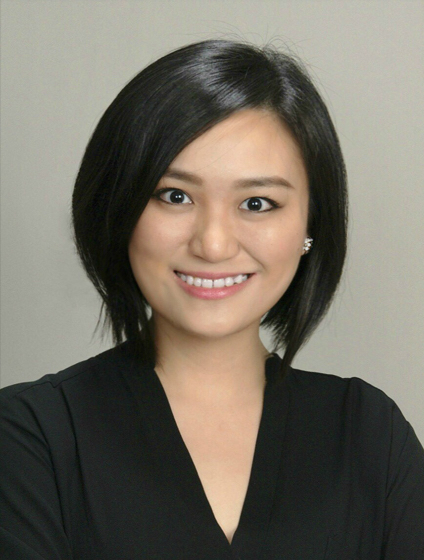 June Tan is a bilingual entertainment attorney at Loeb & Loeb LLP and is deeply involved in the firm’s Asia entertainment and media practice. As one of the few Mandarin-speaking attorneys in Hollywood, June has in depth knowledge of cross-border transactions where she represented industry-leading Chinese companies and investors, such as Tencent, Bona Film Group and Dadi Media, in their dealings with Hollywood. She also counsels U.S.-based production companies and talents on a full range of content licensing, financing, development, production and distribution deals. Previously, June was a legal consultant in Davis Polk’s Beijing Office, where she worked with Chinese state-owned financial institutions including New China Life Insurance, China Galaxy Securities Co., Ltd and China Everbright Bank on each of their multi-billion initial public offerings. She received her LL.M. from Harvard Law School and her Bachelor’s degrees in both Law and Economics from Peking University. June is also a board member of Chinese In Entertainment and the Director of Business Affairs for 2018 Los Angeles Chinese Film Festival. Jessica Gao is a Los Angeles-based screenwriter. She was born in Beijing and raised in the San Gabriel Valley, a suburb of LA. She has written for Rick & Morty, Silicon Valley, Corporate, and Robot Chicken. She co-hosts “Whiting Wongs,” a podcast about race and writing with Dan Harmon. She recently won an Emmy Award for her work on "Pickle Rick" (Rick & Morty). Helen Shang is a Los Angeles-based screenwriter. She was born in Beijing and raised in the Bay Area. She has written for season 3 of NBC's Hannibal, and realized her true creative home was in dark psychological dramas. She has since written on CBS's Hawaii Five-0 and Heart of Darkness (Crackle), a sci-fi adaptation of the Joseph Conrad novel. She's currently writing on Netflix's series 13 Reasons Why. Rachel Song is a bilingual independent film producer, on Variety’s “10 Producers to Watch 2018,” and founder & president of XS Media. She started her entertainment career as a producer for the renowned theatre director Tian Qinxin. Over the past few years she has expanded her professional career with global companies such as IM Global and Kylin Pictures. She recently produced feature film A Kid Like Jake (2018) starring Jim Parsons, Claire Danes, and Octavia Spencer with That’s Wonderful Productions and Burn Later Pictures. She also worked on the Sundance Award winning film Nancy (2018). Rui Yao is a Chinese writer, screenwriter and director. He is an Associate Professor at Guangzhou University and currently a Visiting Scholar at UCLA. He has written 8 scripts for film and TV, including Lin Shi Yan Yuan (2017) and Angry Kid(2013). Rui has been a fellow of Kyoto Filmmakers Lab at the 2009 Kyoto Historica International Film Festival, fellow of Berlinale Talent Campus at the 2009 Berlin International Film Festival, and fellow of Asian Film Academy at the 2008 Busan International Film Festival. Jimmy O. Yang is an actor, stand-up comedian, and writer best known for his portrayal of Jian Yang on HBO’s Emmy-nominated series Silicon Valley and his dramatic turn opposite Mark Wahlberg in the highly acclaimed film Patriot’s Day.He can currently be seen in the hit Warner Bros. film Crazy Rich Asians. Born in Hong Kong, Yang moved to Los Angeles when he was thirteen, where he eventually made his television debut on the CBS series 2 Broke Girlsand his first late-night stand-up appearance on The Arsenio Hall Show, where he received a rare standing ovation. He is the author of the book How to American: An Immigrant’s Guide to Disappointing Your Parents and lives in Los Angeles. Andrew Hu is a Chinese American writer, director, and alum of the American Film Institute. He was a 2015 Humanitas Prize David & Lynn Angell Fellowship finalist, and in 2016 he was featured by The Black Listin their annual TV Writers Staffing Book. Internationally, Andrew has written TV and film for companies in China and Germany, and his work has screened at festivals such as the Vienna Independent Film Festival and the Miami Film Festival.